Recently I wrote about the wonderful six colors of tea. Often people raise an eye brow when they read blue tea. It’s not a color you expect your tea to have. If you search for the term you will find a variety of drinks such as hibiscus tea which starts out blue and turns red or tea made with butterfly pea flowers. You may even find some brand name ice tea before you actually see a reference to “real” tea from Camellia sinensis. 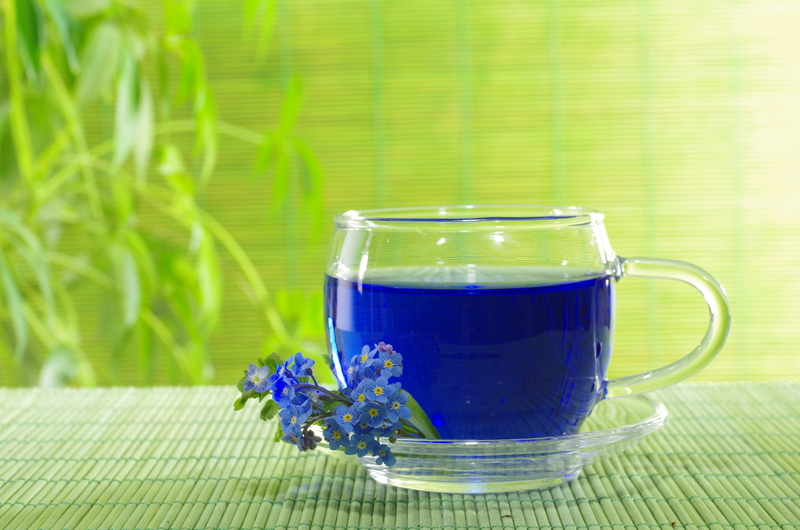 Blue tea is the ancient name given to oolong (or ‘wu long’) tea. The Chinese character representing oolong tea has changed over time so often this type of tea is called blue-green which more closely resembles the actual color of certain types of oolong tea (it is also possible to brew a much darker browner tea). China is the main source of oolong tea. In the south east the Fujian province (especially their cliffs), its close neighbor Taiwan and the Guangdong province a little further south contribute to most of the world’s oolong production. 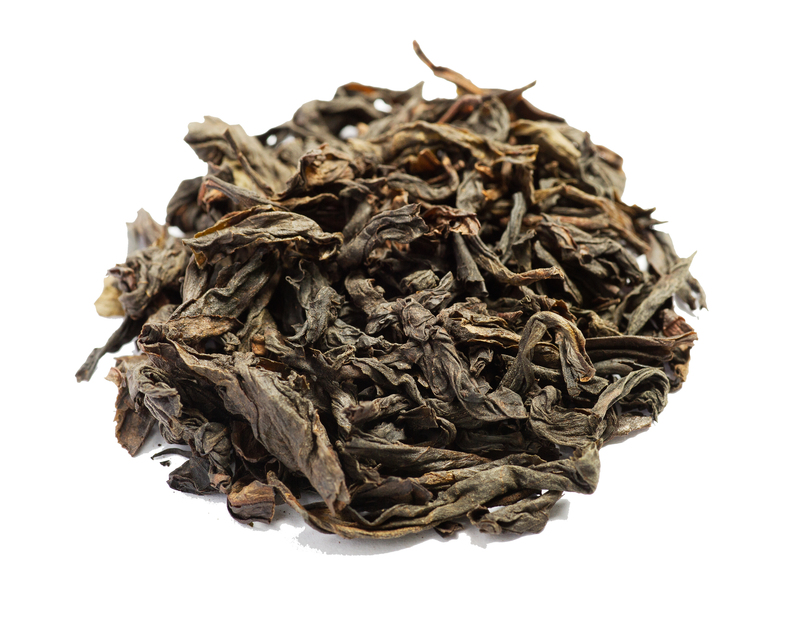 Oolong is one of the most difficult teas to make and gives the tea maker lot’s of freedom in creating the final tea. Fine oolong teas are best brewed multiple times in order for the leaves to fully unfold and reveal their full taste. The tienguanyin style of oolong tea produces one of the most expensive teas in the world and the exact process is a highly guarded secret consisting of up to eighteen steps. 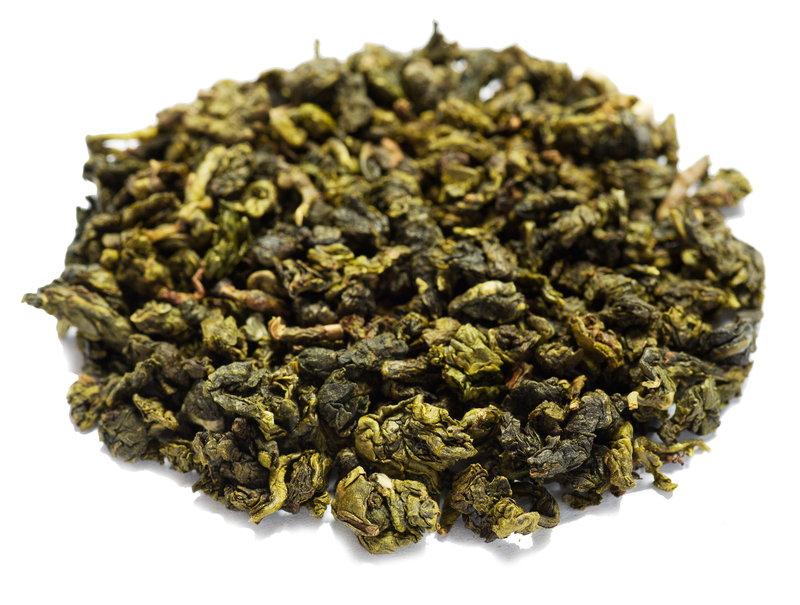 A lot of oolong produced today uses the Fujian style which still goes through ten steps from raw leaf to the final tea. The sixth step ‘Shajing’ is the deciding step for important characteristics of the tea. Here the leaf is rolled for a few minutes to break the cell structure and release the juices. This step alone takes up to half a day and tea leaves are allowed to rest for about two hours between rollings. Fujian style can be recognized by small tea balls about the size of a marble. If you encounter a longer straighter style of oolong this is the Min-Bei style. Here much larger leaves are used and it takes more than 30 hours to produce. Boil water but let it sit for about 5 minutes to cool to 95°. Use a small pot or larger tea glass (~250ml) with a lid and 1 (tightly rolled leaves) to 2 (very loose leaves) tea spoons of oolong. Brew repeatedly starting with 1 minute and increasing about half a minute each time. Pour into a drinking cup after brewing and let the leaves breathe between each round (open lid). Previous Previous post: How colorful is your tea?